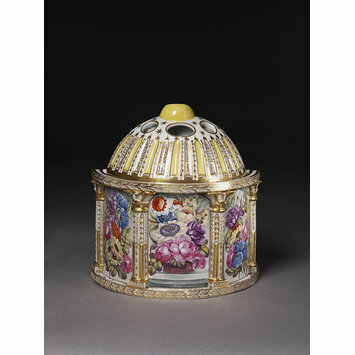 Bough pot and cover of soft-paste porcelain painted with enamels and gilded. Borders of gilt foliations. 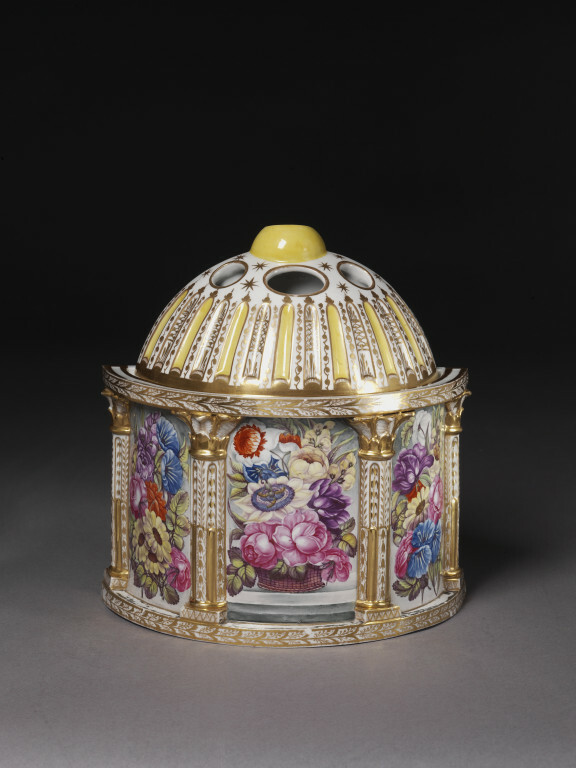 Bough pot and cover of soft-paste porcelain painted with enamels and gilded, probably painted by W. Billingsley, Worcester porcelain factory, Worcester, ca. 1808-1813.